With most new bike sold being stolen within 24 months, it’s really important to take down a few essential details of your bike that will drastically improve the odds of your bike being returned should the worst happen. Frame Number (usually found near your pedals, often on the bottom of the frame). There are several services (listed below), which assist you with taking all the relevant details. Alternatively if you wish to do it yourself, you can just write down the details or simply email the details to yourself for safe keeping. Immobilise is a property register, widely adopted by police forces in the UK. Whilst it’s business practices are morally questionable, it’s wide adoption means that it’s well worth using to register your bike. Bike Shepherd< is a easy to use bicycle specific register, whilst it hasn't been adopted by any police forces. It was at the time of writing the only bicycle register that also publicizes your bike should it go missing (excluding ourselves). For various reasons I can’t go into, I don’t recommend Bike Register to anyone! 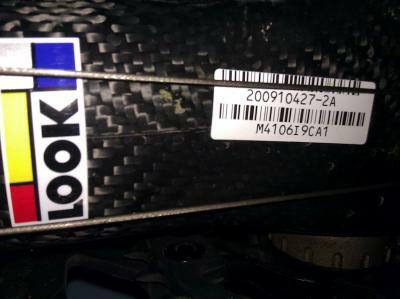 Are there any statistics on whether a registered bike is more likely to be recovered? Or one which has been coded by the police? You don’t recommend Bike Register, but you recommend Immobilise, which the BBC famously called a “shopping list for burglars” because of how long they look to secure their website – why? Wow I wrote this a while ago. Immobilise had issues after this date (2015). I recommended them because they allow the registration of multiple different types of goods and put in the effort to engage with people when you talk to them (even if the answers no). I was disappointed with the way they handled that issue but they aren’t the only ones on this list to have had issues. It’s still a live page on one of the best websites about this topic. Are any of the services on this list really worth using or are they just a colossal waste of time and way to give your details to marketing firms? why don’t you recommend bike register?? do you still not? I can’t really discuss it and no I still prefer other services (Immobilise) or just plain old taking a picture and emailing it to yourself.